Get to know Toulouse on a 2-hour guided walking tour packed with fascinating historical context about the city’s past. Explore UNESCO World Heritage Sites like Saint Sernin Basilica, a masterful example of Romanesque architecture. Then, continue on to 'Couvent des Jacobins' Church, founded as a Dominican Monastery in the 13th century. Finally tour the Capitole, or Toulouse’s town hall located in the city’s main square. Come away with a deeper understanding of the “Pink City”. 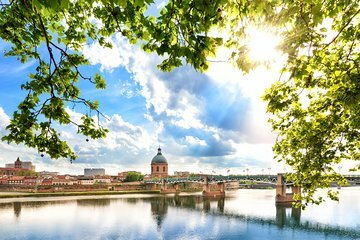 Explore Toulouse on a 2-hour guided walking tour and get to know France’s “most overlooked city”.